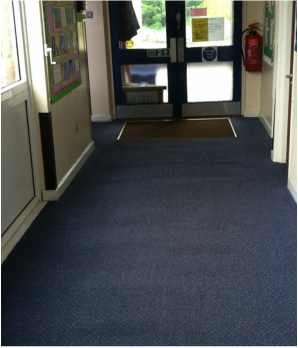 Carpets naturally get dirty over time, but busy commercial buildings such as offices, public areas, medical practices etc get much heavier foot traffic than household carpets do. Combine this with walked in dirt, accidental spills, and goodness knows what else,and it’s no surprise that the expected life of a commercial carpet is around one fifth that of a household carpet. 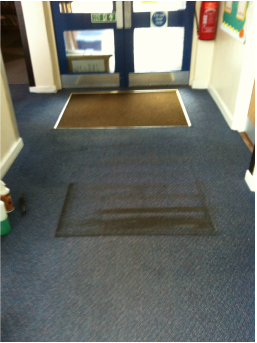 Dirty stained carpets make businesses look bad and give a poor impression to clients and visitors. 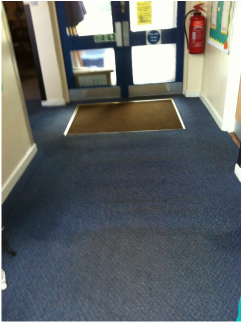 Aside from the cost of replacing commercial carpets, there’s the lost productivity from the business having to close while the offices are emptied, the old carpet removed, and the new carpet is fitted. It makes sense then, to maintain the beauty and usefulness of carpeting for as long as possible. A program of professional commercial carpet cleaning can more than triple the life of a carpet, but it also maintains the pleasing appearance of the carpet, and improves health ( yes a dirty carpet can carry numerous unhealthy bacteria and toxins). So periodic commercial carpet cleaning makes sense and pays for itself. But who do you use to carry out the work? How do you decide which firm will provide the cleaning that is needed at an affordable rate? How do you know who will provide the best value for your business? These are the questions I’ve encountered regularly over the last three decades I’ve been in the cleaning industry. And it’s exactly why I created my Free Trial Offer. We cover a wide range of areas throughout Kent, including: Margate, Canterbury, Faversham, Herne Bay, Sandwich, Thanet & many more. can do for you.  You can see the effectiveness of our cleaning, the fast drying, and get to meet me. or 01304 381165 if you’re calling on a mobile phone. Alternatively, click the button below to send me a message. of you as well as our precious planet. And our strict health and safety policy ensures that we comply with all your legal requirements. 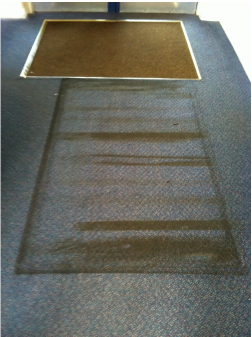 ​many other systems, our premium commercial carpet cleaning service cannot shrink or stretch your carpets. It’s impossible with our system! ​whatever the weather outside. And your business won’t be disrupted. It’s Starting To Look Good! Finished – Looks Like New!